Andreas Zimmermann’s introductory post offers an intriguing mix of grand theme and technical detail. It certainly prompted me to reflect on changes both great and small, and their impact on international law. Unlike Monica Hakimi, I have no issue with the thrust of Andreas’ argument; I notably share the feeling that (if I read his opening Dylan quote correctly) animated his post: “the waters around us seem to have grown”. Perhaps more than Andreas, I remain uncertain whether that feeling is well-founded. More particularly, I wonder how much of our current talk about crises, dark times, disorder & contestation, new isolationism is just noise, perhaps even a reflex. (Ours is a ‘discipline of crisis’ after all; we “revel” in a good one, as Hilary Charlesworth noted perceptively two decades ago.) And how much is based on real, measurable changes in what Andreas refers to as “the social fabric of international law”, or its role in international relations. It is to this question that my comments in the following are directed. They are an attempt to take the debate further, and they seek to do so by making two pleas: a plea for better metaphors, and a plea for criteria as we discuss ‘International Law in Dark Times’. My first point may sound silly, but it does have, I would say, at least a kernel of seriousness. It concerns one of the metaphors used by Andreas, viz his encouragement to perceive “the international legal system … as an oil tanker”. This is used to emphasise that international law — notwithstanding the seemingly irresistible attraction of notions signalling decisive change (the ‘Grotian moments’, ‘paradigm shifts’ and all that) — like an oil tanker takes time to change course. I could not agree more; but I wonder whether one need not go further. Yes, oil tankers move slowly, but their direction is clear: they may take time to complete the change of course, but the tanker as a whole eventually turns to one side. So far so good, or perhaps so far so silly. So why should this matter? I think it matters because the oil tanker metaphor, while capturing the slow pace of movement, keeps up the myth that the movement of international law were mono-directional: that international law as such turned. But that in my view fails to account for the multi-layered, or (as James Crawford recently noted) “sedimentary”, nature of international law, some of whose layers are more affected by change than others. To illustrate by reference to recent debates, some principles and some institutions have come under stress: Andreas mentions a number of international courts and tribunals. Others worry about the fraying consensus on the ius ad bellum, about human rights limits to the fight against terrorism, about the paralysis of the WTO dispute settlement system, or about the legitimacy crisis of investment law. And hardly any crisis account fails to mention ‘Crimea’ or ‘Trump’. Elsewhere in international law, though, life seems to go on as usual. The ILC submits proposals enhancing our understanding of the sources of international law. At a dedicated treaty event in September 2017, 71 States signed, ratified or otherwise accepted to be bound by ‘multilateral treaties that safeguard humanity’. In May 2017, the State parties to the FAO Agreement against IUU fishing held their first meeting. The ICJ decides maritime boundary cases. None of the 65 State parties has so far denounced the 1968 Vienna Convention on Road Signs and Signals. And so on and so forth. Crises and continuities coexist. Different vessels are moving in different directions. None of this should be read as a plea for complacency. Nor is it meant to suggest that decline in one area of international law could be counterbalanced by continuity in another. (‘Three new treaty ratifications against one non-complied judgment’, anyone?) And still less that all developments were of equal relevance: we have to imagine vessels of different tonnage, speed and size. But different vessels there are – or in rival imagery: international law is a sedimentary formation, a layer cake, an iceberg of which only 10% are visible. ”From some of its layers of sediment”, notes James Crawford in the piece I have just referred to, “states can withdraw … more easily than from others”. And do (more easily). This is anything but surprising; it is common to many multi-layered areas of law. “Verfassungsrecht vergeht, Verwaltungsrecht besteht” (constitutional law changes, administrative law remains) – noted Otto Mayer when explaining why the 1919 edition of his treatise on German administrative law had required little updating. (A world war and a revolution were obviously not significant enough to affect its rock-solid sediments …). Not all things fall apart, some centres can hold. Metaphors should enable us to express as much. That is my first point: silly perhaps, but with a serious kernel. So how do we measure the ‘Rise and Decline of the International Rule of Law’? Andreas’ approach is a mix of the inductive and the intuitive. He looks at the conduct of three courts, which face a backlash of one sort or another and whose response reflects a “tendency … to take a transformation in [their] surrounding ‘legal space’ into account”. And he shares what seems to be an intuition: that “recent individual developments mentioned [ie Trump, Crimea and the like], as well as more structural changes such as the increasing role of the People’s Republic of China within the international legal system, indicate that … a turning maneuver is currently taking place”, which is one “towards a more traditional, State-centered and sovereignty-based system of international law”. I doubt our approach could be anything but inductive. But it seems to me that when discussing crisis and decline, we should seek to substantiate our intuitions by reference to criteria. That to me seems a real challenge – and I say that, to reiterate, precisely because I share Andreas’ intuition, but struggle to spell out on what it is based. In the remainder of this short post, I outline three questions, which which I am struggling — and which, in my view, we should be able to answer if, in discussing crisis and decline, we want to move from intuition to assessment. (ii) Compared to when do we observe change? Second, we need to be clear about the time-frame across which we observe changes that pass the threshold test just mentioned. 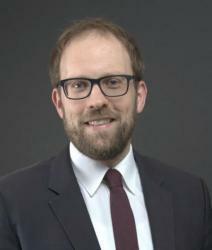 Andreas’ focus are the 1990s: then, before the current ‘turn’, the “international legal order [had] shifted towards a more robust, more elaborated and more efficient system of legally binding norms (rather than mere political ‘expectations’)”, and then, too, “euphoria [had] prevailed among international law scholars”. In this ‘halcyon days view’ of the 1990s, Andreas probably is not alone. And I certainly agree with his second aspect: too young to participate in debates, I was infused with a rather heavy dose of ‘international law euphoria’ at the Walther Schücking Institute in Kiel. The choice of a comparator period focuses debates, but of course it also limits the claim one is making, and exposes it. Limits it, because it may well be that what we call ‘crisis’ or ‘decline’ means nothing more than ‘the 1990s are over’. And exposes it, because with the benefit of hindsight, we might remember of the 1990s not just the shifts “towards a more robust, more elaborated and more efficient system”, but also (in no particular order): the glaring failures of that system, from Srebrenica to Ethiopia/Eritrea; the hundreds of thousands of Iraqi victims of (still quoting from Andreas’ post) a “system of collective security [that had begun] … to also work in practice”; the contentiousness of many of international law’s projects then euphorically pursued (think of investment law). But I am getting ahead of myself. The second point is really a straightforward one: when assessing developments over time, we need to offer a time-frame, a comparator; and be prepared to have our claim tested on that basis. (iii) What has actually changed? The third question is key, and it, too, is relatively straightforward. When moving from ‘sensing’ crises to assessing them, we should be prepared to say with some level of specificity what has changed, and why things are different now; and prepared to have our criteria tested. In his post, Andreas mentions a number of criteria, but I hope he would not mind me saying that, like me, he seems to ‘feel’ his way around. A return to sovereignty is key to the current trend; and judging from his examples, he sees this reflected in the backlash against international institutions, and, tentatively, in “an (increasing?) tendency, at least by some States, to bluntly disregard international law and to challenge its normativity as such”. The present backlash is contrasted to the 1990s, when the trend was one of “increasing effectiveness, value-orientation and substantive enlargement of the scope of international law”. The claim that sovereignty-minded States have become wary of international law, at least where it is intrusive, is common to many crisis diagnoses. A backlash against courts (which Andreas discusses) might be said to illustrate such wariness; but given the relatively short history of many courts and the limited number of cases brought before most of them, the risks of ‘anecdotalism’ and anachronism are real. Do two instances of non-appearance and non-compliance (Arctic Sunrise, South China Sea) make for a trend? Is the Marshall Island case so different from Nuclear Weapons? How do we weigh the backlash against the ICC’s handling of immunity issues, given that in the halcyon days of the 1990s no ICC existed? I am not raising these questions to dismiss the argument, not at all in fact; but as an encouragement for further engagement – an engagement that would then also need to clarify why a return to a more ‘sovereignty-based system of international law’ is treated as ‘deline’ in some fields and ‘rise’ in others: as for the latter, Andreas cites the Jurisdictional Immunities case, which reinforced one aspect of a sovereignty-based order and which many see as a contribution to the international rule of law. Investment treaties, too, are being recalibrated so to make investment protection less intrusive – does that signal ‘rise’ or ‘decline’? All of this merits debate. But my general point will have become clear. Our assessment of crises, rise and decline will benefit from criteria, nuance, and empirical data. This is all the more true for other aspects mentioned by Andreas, such as international law’s “increasing effectiveness, value-orientation and substantive enlargement”. Looking at these, are we content to claim that things have changed? Does not international law continue to expand? Is it, or which aspects of it, are becoming less effective? And to what values is it no longer oriented? (To sovereignty, it seems to look, but that, too, is a value.) And is there really an increasing(?) tendency to “bluntly disregard international law” and “challenge its normativity”? It may be no coincidence that Andreas in his post adds a question mark. I have no intention at all to ‘define away’ Andreas’ and my shared intuition. But I am looking to research projects such as the one he mentions, on the ‘Rise and Decline of the International Rule of Law’, which I hope will yield data and criteria. Without them, we will be stuck with our intuitions. Thank you for this interesting post and, especially, for asking us to pay attention to our framing devices. Metaphors and similes are ubiquitous in law, understudied, and highly influential. Their subtlety is part of their power. I do not think it is “silly” at all to note the effects of choosing one metaphor over another. Indeed, Christian’s first point has more than “a kernel of seriousness” to it. “Metaphors in law are to be narrowly watched, for starting as devices to liberate thought, they end often by enslaving it.” Berkey v Third Ave. Ry. Co., 244 N.Y. 84, 94 (1926) (Cardozo, J.). I am weary of metaphors, as a bad one can have a deleterious effect (as the infamous ‘conduit pipe’ in the Miller Case). I leave them to poets, where they serve the immensely useful purpose to tell a good poet from a bad one. But the opening line of Anna Karenina, ‘Happy families are all alike; every unhappy family is unhappy in its own way.’ The areas of international law chugging along are like happy families, while those areas ‘of concern’ are the unhappy families, like the Oblonsky in the novel. And so not all crises of international law are unhappy in their own way: there are crises of obsolescence (the use of force rules), crises of growth (investment law) and crises of stasis (the WTO impasse). And then there are the paradigm shifts (globalism/localism, multilateralism/unilateralism, sovereignty/cooperation) which in themselves can generate the lower level crises of growth/obsolescence/stasis. Unsurprisingly, law thrives on crises: after all, the original meaning of the word is ‘decision’ (from the verb ‘κρῑ́νω’, to separate, to distinguish, and hence to decide, to pass judgment). In this sense, international law is always in crisis, and the lack of it would indeed be the dangerous development. Thanks to Alessandra, Jeff and social media commentators expressing views on twitter. Alessandra, you are right: crises come in different shapes and sizes; and I’m sure that if we water down the term sufficiently, we can say that international law is always in crisis. But that just takes us back to the point about criteria: we need them to separate the ‘crisis wheat’ from the ‘crisis chaff’. Jeff, I agree that metaphors matter. Had I read your comment — or indeed your article on metaphors in the law (http://www.jus.uio.no/pluricourts/english/news-and-events/news/2017/2017-12-05-kahn-metaphor.html) — before, I might have dropped the point about ‘sounding silly’. But the ‘kernel of seriousness’ was what I cared about; I hope that has come across. As regards the subtlety of metaphors (to which Jeff refers), I had a relatively firm view on the ‘oil tanker’, but otherwise felt that the other popular examples (international law as a layer-cake, icebergs, etc., not to speak about my ‘swarm of little vessels’) remained well below ‘peak subtlety’. Perhaps EJIL Talk readers can chip in and offer their favourite metaphor to describe the discipline. Or is this something that Dapo should take up in a future trivia competition?